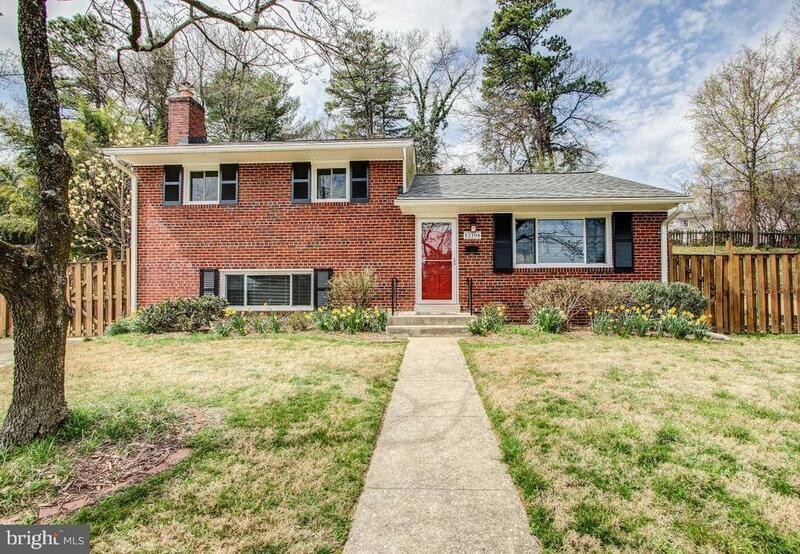 Gorgeous split level home with renovated kitchen and baths...and a fireplace. Custom kitchen with beautiful wood cabinets, granite counters, stainless appliances, pantry, recessed led lighting, led under cabinet lighting and 2 tiffany pendants. Two full renovated baths. Lower level bath with expanded shower. Refinished hardwood floors on the main and upper levels. Family room with new carpet and fireplace. New double pane windows and exterior doors (2013). New roof (2014). New furnace (2013). New HWH (2016). Landscaped yard with tons of flowers. Private fenced rear yard. Off street parking. Sidewalks in the neighborhood. Great location... close to metro and the new "Pike District". And just a few steps to Rock Creek Park. Inclusions: Shelves in utility room.